Well, as I stated in my last blog it’s been quite the year for me. It seemed at the time that Joe and Lil we’re going to catch a break this year. Since my last post I had hand surgery to remove a cyst from a burn and emergency gallbladder surgery. Yeah, I’m done with 2018. I was scheduled to have back surgery to clear some space where the disc was pressing on the nerves, but after a recent mri it seems the problem is with the actual disc itself, not the pressing factor. Unfortunately for my that means more time, more tests and most likely a bigger surgery. We will see how that all plays out over the next month with tests and follow ups. Lillian has been thriving. She adores school and is doing fantastic. Unfortunately, about 3 weeks ago she came down with a cough and high fever of 104.5. 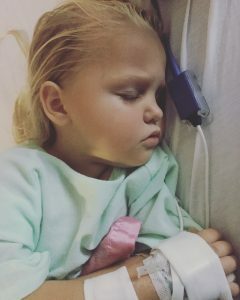 After testing negative for flu, strep and uti, her pediatrician ruled it as viral. After having these symptoms for 4 days, I noticed on Halloween that her breathing seemed abnormally fast. My neighbor who’s a nurse came and listened. Lungs again sounded clear, heart rate was slightly high but that’s normal with fever. We kept a close eye on her the remainder of the evening. 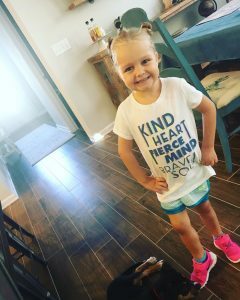 The next day, she began vomiting, spiked a fever and her breathing was extremely rapid. I put my mommy foot down and we went to the ER. Again, lungs sounded clear but respiratory rate was extremely high. Again, negative for flu and strep. So, they sent her off for an X-ray. Lillian has severe pneumonia in her right lung. Her lungs were extremely inflamed causing her severe pain. At this point she was lethargic and could barely keep her eyes open. She was also severely dehydrated making all of her kidney levels get wacky. So, we were admitted. The next 4 days were a roller coaster. She didn’t eat for 3 days, the smallest movement made her scream in pain, labs were drawn 7 times, iv fluids, nausea . My poor baby girl was miserable. This time was different for joe and I. Lillian was in so much pain and so lethargic, she couldn’t put up a fight for labs draws, iv checks, blood pressures. She couldn’t even get out of bed or stand on her own. When we’re admitted for blood pressures and UTIs, she generally feels half way decent and wants to play and doesn’t understand why she’s being poked and prodded. This time, she couldn’t fight it. It was heartbreaking, but not having to console her after holding her down for yet another lab draw, made this stay slightly easier on mom and dad. That sounds awful but it’s true. We all knew she needed that care without a fight. Lillian was out of school for 2 weeks. It’s been just over 3 weeks since her diagnosis and she’s still in some pain due to inflammation and doctors expect her cough to linger for another few weeks. Her school was so amazing during this time. I received messages from moms, her teacher, and her school nurse regularly. Her first day back, when her classmates saw her walking down the hall they all screamed and ran up to hug her. It made this mamas heart so happy to see the love and support from her new school. She’s a spitfire. And she makes this mama so proud. If you have time, please share our story. We would love to beat last years race attendance! Well, clearly it’s been sometime since I’ve updated on our website. That’s not to say it’s been an uneventful year, more so busy than anything! It’s been a year of ups and downs, but fortunately today we were given a sigh of relief. Lillian has been doing fantastic this year. We’ve moved into a new county where she will start at a brand new school as a kindergartener in one of 7 classes! It’s a huge school however she will be getting state awarded education and there will be a registered nurse at school at all times! This is our WHY behind moving. It’s scary for a mom when schools tell them they would refuse to give their daughter medication, to come up 3x a day to give it myself. Knowing a highly educated nurse will be there daily, building a relationship with her multiple times a day is refreshing and reassuring. At the beginning of the year, I lost my best friend to cancer. It was a knife like I never expected, and she was a HUGE advocate for Lillian. She was there at the drop of the dime the second I needed her. 2 days after her funeral, the first week of February, I had hip surgery. Since then I’ve also struggled with bulging discs in my low back. It’s been a whirlwind, and the move was a huge positive point for us. To say the year has been busy is an understatement! Through all of this though, my surgery, my friends passing, my back, the move, a new puppy(! ), Lillian has stayed her spunky, resilient self! She graduated preschool like a champ, finished summer swim lessons and starts dance again in 3 weeks! I can’t believe my baby is registered for Kindergarten. We saw Lillian’s kidney team for the first time this summer today. Due to a big surprise coming up that we will annouce in a few weeks, we felt like we were once again holding our breaths. Hearing the pride in Lillian’s doctors voice is so refreshing. They truly do love each other. Lillian’s creatinine and bun has gone up ever so lightly, HOWEVER, he thinks it’s more due to funky labs from her being sick and on antibiotics. She’s tiny, but growing on track and all other levels looks great. We meet with the transplant team at the end of the month just as a follow up. He emphasized today to ensure them that there is no rush for living donor transplant because she’s remaining stable. Yes! Thank you God, huge sigh of relief! I am so grateful for our local team. 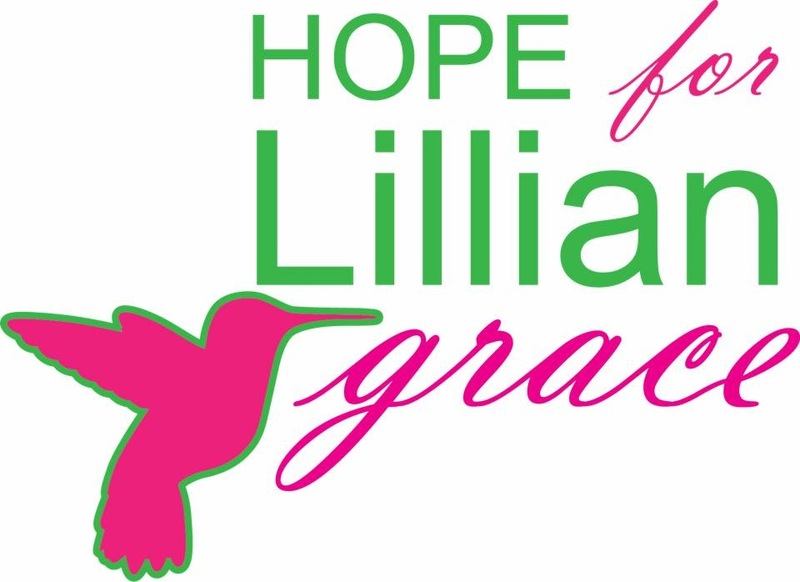 I am also excited to announce the 3rd Annual Hope for Lillian Grace Reindeer Run is set to take place December 1! Last years growth was astounding, let’s make this years even greater! More details to come! I will be posting our exciting news on a surprise for Lil next week! Sorry it’s been so long since I’ve posted, like I said, things have been a little crazy this year! As always, thank you for the unending love and support for our little family. WooHoo! Can you believe that our 2nd Annual Hope for Lillian Grace Reindeer Run is 1 month away! I cant express how excited our family is! With Lillian starting her transplant journey in just one week, this race takes on a whole new importance for our family. Please, feel free to share our journey! The more shares, the more awareness. The more shares, the more prayers! Below is the link to register for the race through First Place Sports and I’ve also copied the Facebook event. I will be publishing a blog next week after Lillian’s all day appointment in Gainesville with the transplant team. Please keep us in your prayers as we travel there, pray for us as we explain things to Lillian next week, and as we meet the team and she goes through a full day of testing! For the last 4 1/2 years we did our best to prepare ourselves for the worse. We know very well what this ugly disease has in store. We know worse case scenarios, we know best case scenarios. Joe and I attend appointments together in fear of the appointment we hear its transplant time. We’ve done everything we can to be ready for that appointment. Lillian’s been thriving. Aside from a few minor infections, the last three months have been good. I feel as if I’m almost on autopilot. We monitor her diet and blood pressure closely. Her blood pressure has been so consistent its almost scary. She’ll have days where the readings are identical. We’ve had a fun summer! We’ve had countless cookouts with friends and family, zoo dates, craft days, pool time. We’ve enjoyed some peace and quiet. Until yesterday. Yesterday was the day I was talking about before. Yesterday was the day I mentioned in a dozen other posts. Anxiety is always high on appointment days because were always fearing that one appointment. But it turns out to always be okay. Lillian went from having 40% function for the last 2 years, to having less than 25% within a 3 month span. 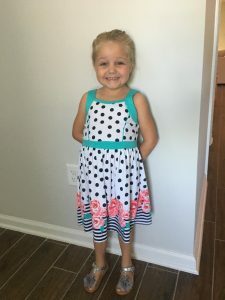 As a group, we have always been on board with a preemptive transplant, meaning we chose to attempt transplant before Lillian needs dialysis, which is generally started when there is approximately 15% function left. We will be working with the UF Transplant Team out of Gainesville, FL. We are also putting Lillian on a full renal dialysis diet to try and take as much stress of her kidneys as possible. Within the next week we will hear from both the transplant team and a new dietician. Generally speaking, it takes approximately 3-6 months to get in with the transplant team. 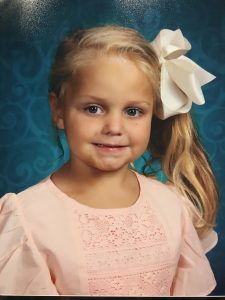 At that time, we will begin Lillian’s invasive transplant workup to see exactly what her body needs from a donor. Once that workup is complete, we will begin our search for a living donor. 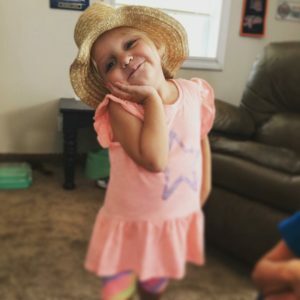 God willing, we have a family match for my sweet girl. Until then, we will be doing everything we can to keep her kidneys going strong. Well be following strict diet restrictions, keeping a close eye on blood pressure and supplements, and doing labs and office visits every 3-4 weeks. As parents, Joe and I are terrified. We still have so many questions that won’t be answered until we meet with our transplant team. Our lives have felt like a roller-coaster that we’ve begged to get off for awhile now. In addition to Lillian’s journey, we’ve experienced infertility, loss, disease and heartache behind closed doors. I would be lying if I said our faith wasn’t on edge. We’re hurting and were angry. As parents, you never want to see or hear your child will go through something so huge, whether you anticipated it or not, it doesn’t make the blow any easier. We haven’t been able to choke down the tears just yet. Our fears and heartache are still very raw, as its only been 24 hours since receiving this news. Like I said, our faith hasn’t been at its strongest points the last few months. However, for me, my Christian music is my biggest source of prayer lately. I makes me feel human, forgiven, and relatable. Driving today, I blasted my stereo on high as one of my favorite songs came on. In that very moment, I just wanted Him to know I’m here, and I’m hurting, but I will never lose hope or faith. I found myself wanting to be back in the same pew I found myself in nearly 5 years ago after Lillian’s diagnosis. I found myself praying, hoping and wishing for a sign, a feeling that He was there. Then it hit me. I don’t need a new sign, I don’t need a new feeling, that sign, and purest symbol of hope I could ever wish for is the same one that kisses me every night before bed. Its the brightest blue eyes that looks up at me wiping my tears. Its the beautiful smile that screams “I LOVE YOU TOO!” Its my rambunctious, oh so brave 4 year old that He gifted me 4 1/2 years ago. Am I angry at everything my family has been dealt? Absolutely, more than you will ever know. But God knows that, He’s heard my cries and screams, He’s seen my tears and felt my pain. Again, I am downright terrified. I don’t truly know what to expect. But I know we are not even close to going through this alone. God will never abandon myself, my husband or my daughter. Thus far, we have only told family and close friends. However, one of the most beautiful things we’ve ever experienced is seeing what the power of prayer can do, what our village of support can do. And, putting it blunt, we need you all now more than ever. At this point, we have chosen to not tell Lillian what is going on. 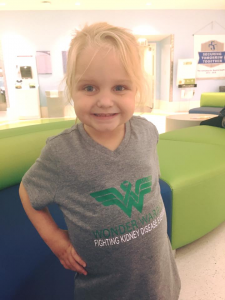 Until we meet with the transplant team, she will not know. 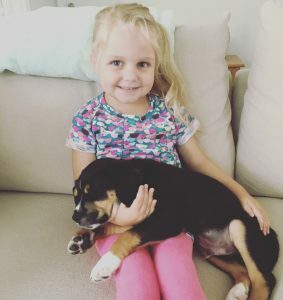 She is a very smart little girl and knows very well her kidneys are sick. She knows what she can and cannot eat and can tell you why. She knows names of her medications and what they are for. She knows her kidneys are big and have boo boos. And that’s enough for my sweet 4 year old to know right now. After talking to friends and family, and getting asked “what can we do” a lot in the past day, we’ve come up with the idea to create Lillian’s adventure list. I asked Lillian if she had one thing, ANYTHING she could do, what would it be. She answered, “to ride the horses again, to ride Papa’s horse.” Nearly 2 years ago we went horseback riding in Gaitlinburg, TN. Now, I am not sure if the ranch or horse are even around anymore, but that will be on my to do list. 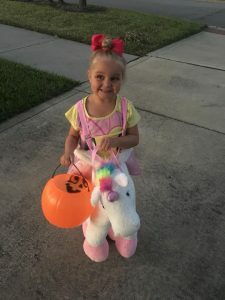 We will continue to think of fun activities and adventures we can spoil our girl with, because life post-transplant is very secluded for the first year. We want her to enjoy the energy, strength and security she can right now. We are also in the works of organizing our Second Annual Hope for Lillian Grace Reindeer Run. And let me tell you, this race just got a whole lot more important to our family. We are hoping to work with a running company this year so we can watch it grow even bigger. So stay tuned for race information and sponsorship options! Again, this is something we weren’t prepared for or expecting to hear yesterday. We’re still processing the news ourselves, still trying to grasp that this time, this is actually happening. There are times where we fall to our knees in pain and tears, there are times we just hold each other and cry, and there are times were downright speechless. I laid in Lillian’s bed for an hour last night, staring at the tiny sweat beads forming on her nose, brushing her blonde hair back from her cheeks, while tears streamed down my cheeks and hit the pillow next to her. This will not be easy in the slightest. But we do know we are not alone, and God has blessed us with the strongest little girl in the world. Please feel free to share & see our donations tab on our homepage. Thank you! From the very beginning we chosen to document our journey with Lillian and ARPKD. We’ve written about hospital visits, labs, medications. We’ve celebrated milestones and cried over setbacks. Our blog has been a safe place for us. We can write about our pain and worry, excitement and pride. We plan to continue blogging about our journey here, however, if your curious about the rollercoaster before today, you can find all of our past blog post on the link below.